So your dream is to become an online business coach. The appeal is obvious: working for yourself, working from home, working directly with great clients, and helping people to make real and visible change that can have a huge impact to their business. And you’re the perfect fit. You know your stuff. You’ve been doing this for years in a corporate job that you plan to up and leave (or perhaps you already have). And you’re hugely talented. So is that it? Is that all you need to know before you take the plunge? Well, not quite. As with any business, once you get started it can throw up some surprises and some unexpected challenges. So here are 10 questions to challenge yourself with – 10 questions that really determine if you’ll make success in this hugely popular but highly competitive industry. Do you shine around other people? It’s pretty obvious to say that you need to be good at working with other people if you want to be a coach. But the key word here is: shine. Because the truth is, most people on some level are good at working with others and building a relationship with other people. However, what sets a good business coach apart is their ability to really be a beacon of light in this role. Not only are they great with people, but they put people at ease. When someone talks to them about a business challenge, they can reassure them. In short, they can become that person of trust in a short space of time. So ask yourself: can you be that person? The obvious question to ask would be: are you a good communicator? But actually, a better question to ask is: how do you communicate? To sell coaching packages online – to people who have never met you – takes skilled communication. And it varies depending on what business model you choose. If you have a sales funnel, you need great written communication to pitch yourself to your prospects using a compelling sales page. If you plan on pitching over the phone, you need the ability to communicate your message in a softer, less sales-orientated way by building personal rapport. Perhaps you have excellent presentation skills and a webinar approach to selling would suit you best. The point is, it’s worth taking time to look at where your strengths lie when it comes to communication. There’s no right or wrong way when it comes to growing an online coaching business but you need to understand your own strengths first before you can find a business model that’s going to help you attract and win customers. Are you focused on the process, or the results? Here’s the answer you are looking for: results win every time. If you have a background in coaching and consulting, it might be tempting to focus on how skilled you are in all the processes you use to coach someone in your area of expertise. But in reality, that isn’t going to win people over. Your potential customers want to see results. They want to know what real, tangible results you can offer them, and they want to see what results you’ve already produced. So keep that in mind. If you’re new to this business, get some testimonials. Even if it means doing heavily discounted or free work to start with. 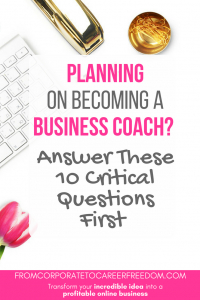 Are you prepared for the long haul as a business coach? Avoid the temptation for shortcuts. There are a lot of hugely tempting promises out there about how you can create a successful, profitable business in a very short space of time. And whilst there may be people who do that, it’s best to go with the attitude that if you mimic that success, it’s a bonus, But be prepared for hard work, grind, and the need to just consistently get up every day and promote your online business just to win that first customer. How do you cope with setbacks and challenges? You can avoid set backs. Its the nature of working online. Things change, and they change fast, and sometimes you can fall down a hole. The most successful people I know running online businesses are the ones who have experienced failure upon failure, picked themselves up, dusted themselves off and started again. Be that person. First, some reassurance. As long as you’re good at what you do, you won’t face a constant stream of criticism and complaints from your customers. Deliver what you promise, and you’ll be running a happy and rewarding business. However, the internet’s a funny place. And not ha ha funny. It’s full of armchair critics. There’s an old saying, which I’m bound to wrongly quote, but it goes something like this: You know you’ve made it on the internet when you get your first hater. It still shocks me to this day how complete strangers go on the internet simply to hurl abuse. But it’s a reality. And when you’re growing your business online, your online presence gets bigger and bigger – social media, blog traffic, ads on facebook. And eventually, you’ll get some crazy person who’ll drop a negative comment into the ad you’ve been lovingly crafting for weeks, or mock the webinar you worked on until 3am. It’s horrid, but it’s reality. Be prepared for it, And when it happens, either respond gracefully, or with wit and humor, or just block that person and move on. Any industry on the internet changes at such a rapid pace, it can be exhausting trying to keep up with it in your business. 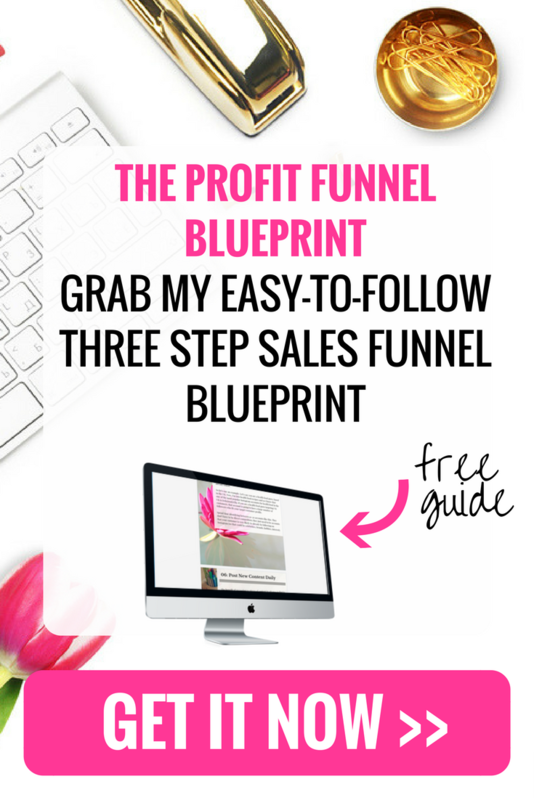 You can create a business model, a sales funnel, a way of generating traffic, and in 6 months from now, it’s gone. Things have moved on. It’s the nature of the industry, and it’s something a lot of people find hard. If you want to run a business online, and especially in a modern field like coaching, you have to be flexible. You have to be prepared to move with the industry, adjust your tactics, but still keep a sharp eye on that end goal of yours. Can you admit to not knowing everything? Even the most talented of coaches can transform their business with the right guidance. Now, I’m not talking about spending months and months reading up on everything you need to do before taking the leap and launching your business, but smart advice from the right people can work magic. So make an investment in yourself by getting some business training that will give you a good starting point when it comes to launching your coaching business. Are you doing it for the money? I heard a fantastic interview with the children’s author Roald Dahl where he was asked whether he wrote for money or his love of children. Both, he said. I liked that, because it was honest. It’s fashionable to say that you should have a great passion for your work, and not focus on the money. That’s great, but in reality, it is a business, a career, and most of us have bills to pay. So if money is a motivating factor, don’t feel guilty about that. However, as profitable as coaching can be, money shouldn’t be your only motivator. As with any career, you need to enjoy what you’re doing because it’s just no fun trying to make money online doing something that doesn’t fire you up. Now there’s a term I don’t hear enough on the internet. Bravery. The truth is, running any business is brave. Running a business on the internet is very brave. And becoming a coach – and promising to other businesses that you can help to deliver them results, is extremely brave. There are other ways you need to be brave. You need bravery when it comes to pitching yourself to your very first client, when you don’t have years of experience to boast about. It’s brave to put yourself out there on social media, in blogs, in ads. And most importantly of all, it’s brave to put your prices to a level you should be charging (and that’s typically a price you’ll be scared to pitch). Many coaches really struggle with pricing themselves high enough and often fall into the trap of under-pricing, and having to sell lots of coaching packages and working 12 hours a day just to make ends meet. So there you are. Coaching is a fantastic online business to run, there’s no doubt about it. You can work with some great clients, and when you deliver great results for your clients it’s hugely rewarding. But when it comes to coaching, or any online business for that matter, 90% of it is mindset. To succeed as a coach, you have to get into the right mindset. So I hope these 10 not-so-obvious questions will help you decide for yourself how mentally prepared you are. 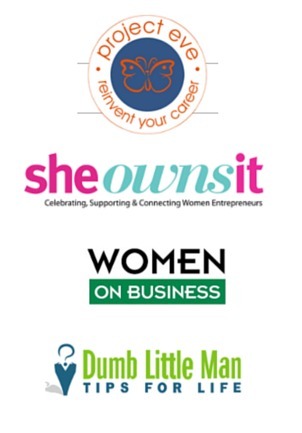 If you’re brand new to coaching and in the very early stages of your business, there’s a fantastic life coaching certification programme that’s currently available online that I’d strongly recommend and you can find the link right below. Having that first certification badge on your website could really make the difference when it comes to winning your first client.